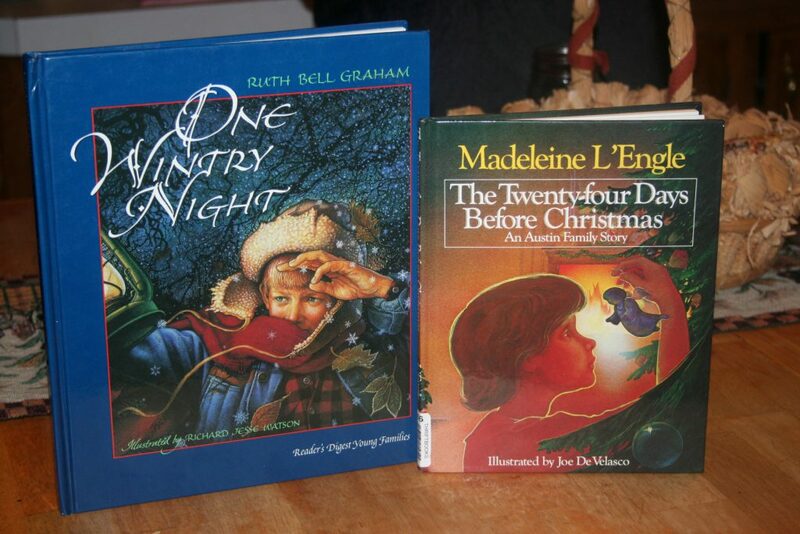 I thought I’d share a couple of Christmas books that are chapter books and thus could be spread out over several days reading. This might be good for those that are pretty busy during the Christmas season but still want to have an ongoing story to read. The first is One Wintry Night by Ruth Bell Graham. It has eleven chapters. They are not very long chapters, for the most part, but you could read them with little ones. This one reminds me of the Jesse Tree because she goes back and explains creation, the fall, the flood, and Abraham. Then proceeds to the nativity, crucifixion, and resurrection of Jesus. It’s a lovely story that doesn’t just tell the nativity, which is unique for a Christmas story. 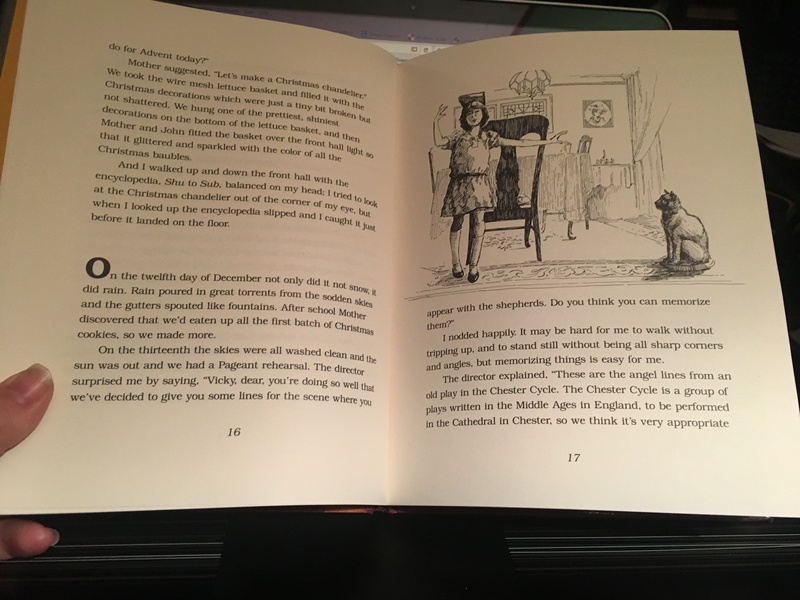 The second is The Twenty-four Days Before Christmas An Austin Family Story. I love this story so much I got put it on my Christmas list last year; as you can see, I received it. This is one isn’t exactly a chapter book but it is long enough and broken down into days, leading up to Christmas. It can easily be divided up into several different readings. There are eleven places where you could break it up (well, you could break it up more if you wanted but, I wouldn’t do it any more than that). The first and last sections would be the longest. There are a couple of sections that are very small and could easily be read together. See the large letter O? There are nine more throughout the story and would be good stopping points. This one is a delightful story about a new baby being born in the family and a child learning humility. 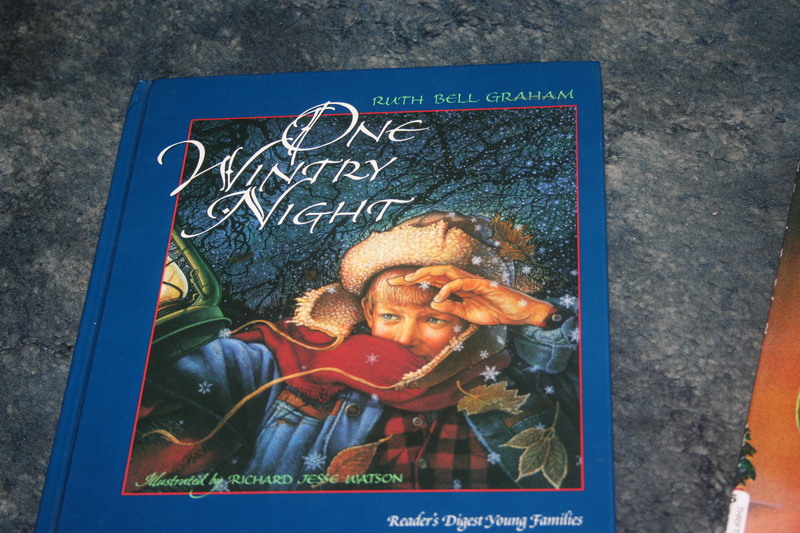 I first got this one from the library on the recommendation of another homeschooler and loved it. Either of these two books or both of them could easily be ready throughout the advent season without the pressure of something you have to do every day. I hope you’ll consider these books for your holiday reading this year; I believe they’ll be a blessing to you and your family.